While he is in rehearsals, thirty blocks away a startling murder takes place at the Metropolitan Museum of Art where a trustee is discovered on the roof of the Museum with a javelin thrust through his heart. The dramatic nature of the crime reverberates through cultural circles in Manhattan. A few days later, during a rehearsal of Matt's Broadway-bound play, the admired, beloved lady producer of the play is found dead in the darkened basement lounge of the theatre. Author, teacher, critic, Edwin Wilson began his career as Assistant to the Producer for the Broadway play Big Fish, Little Fish directed by John Gielgud, and the film Lord of the Flies directed by Peter Brook. He later co-produced the Broadway play Agatha Sue, I Love You, directed by George Abbott and produced the film The Nashville Sound. From 1972 to 1994 he was the theatre critic for The Wall Street Journal.Over the past four decades his three college theatre textbooks have appeared in a total of 28 editions while selling over one million copies. At one time president of the New York Drama Critics Circle and the Theatre Development Fund, he was also Chair of the Pulitzer Prize Drama Jury. In the early 1990s, he conducted 90 half-hour television interviews with well-known theater artists that appeared on CUNY-TV in New York and 200 PBS stations around the U.S. 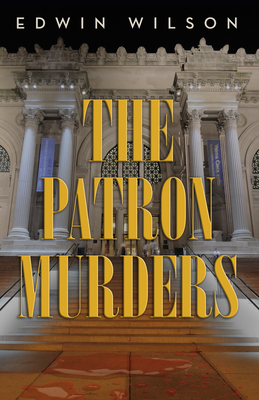 The Patron Murders is Wilson's first novel.